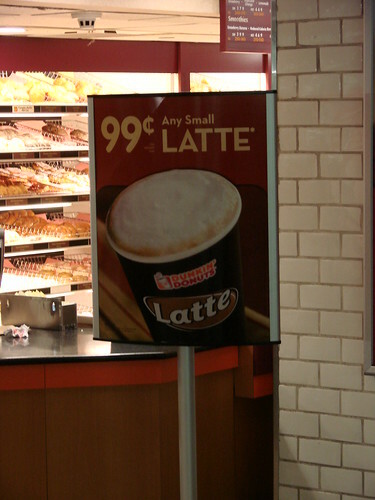 We hear that 99 cent lattes are back at Dunkin Donuts! [Blondie & Brownie]. Plus - to celebrate the opening of new store at 125 Lafayette Street (just north of Canal), you can get a 10 ounce coffee, 6 munchies, or a bagel with butter for 99 cents each. That's a massive breakfast for $3.00!